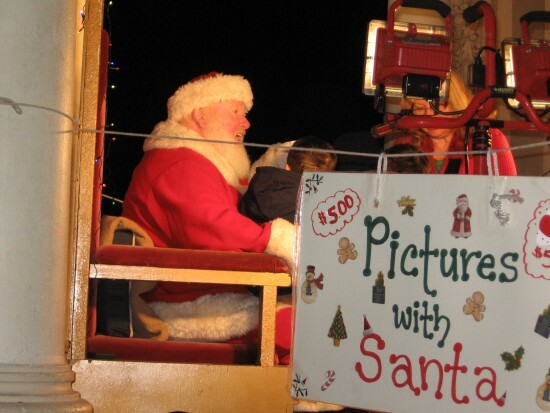 Lots of Balboa Park December Nights photos! – Cool San Diego Sights! 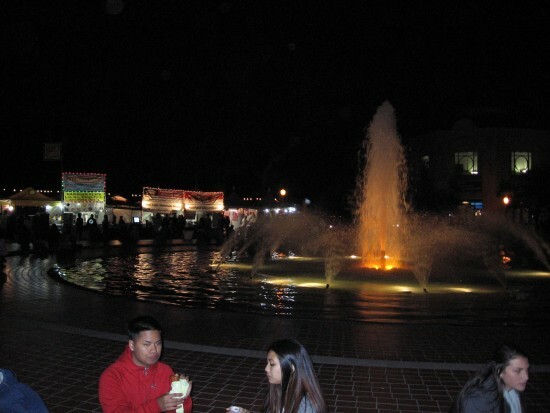 Lots of Balboa Park December Nights photos! Here comes a batch of photos taken Friday afternoon and early evening at 2013 December Nights. 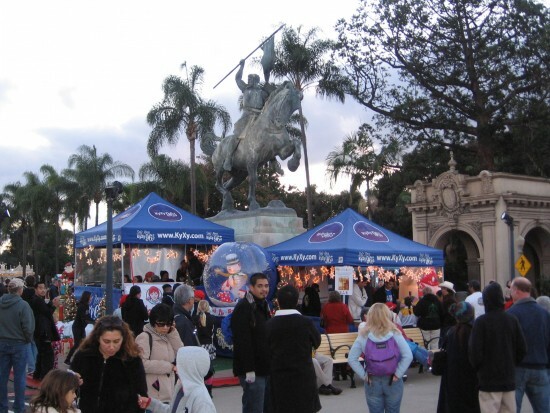 If you haven’t been to Balboa Park’s massive holiday festival, you’re really missing out. Hundreds of thousands of people turn out during the two day event, enjoying colorful lights, decorations, music, Christmas carols, food, entertainment, and just a whole bunch of fun. Every corner of the park is crammed with stuff to see and do. And it seems half of San Diego comes out to experience it all! Some might recall that December Nights was once called Christmas on the Prado. Fortunately, the event is as joyful, bright, inspirational and heart-warming as ever. And the crowds seem bigger than ever! 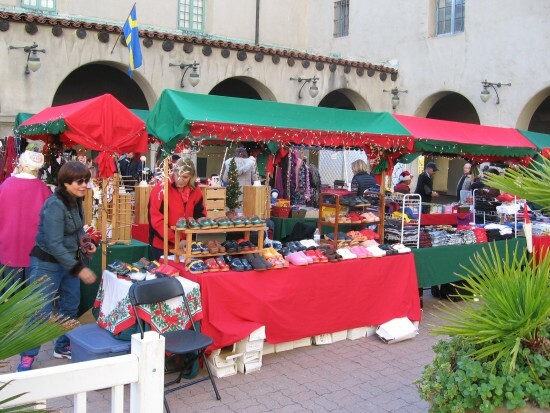 Vendors set up festive booths in courtyard in front of the Museum of Man. 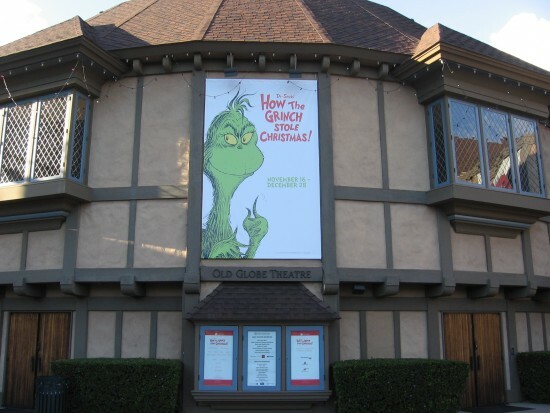 Front of the Old Globe Theatre features a banner of the Dr. Seuss Grinch. 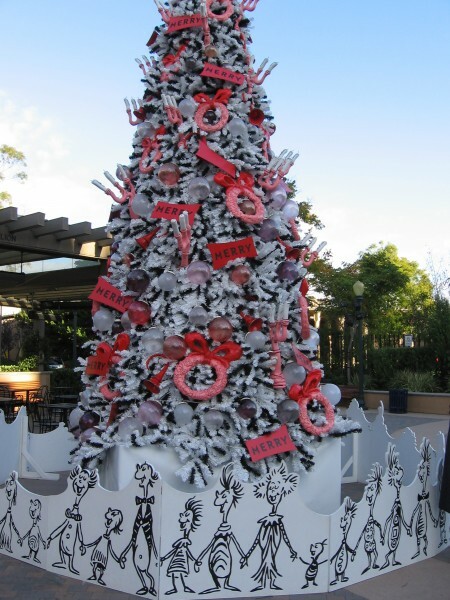 How the Grinch Stole Christmas holiday tree in theatre complex. 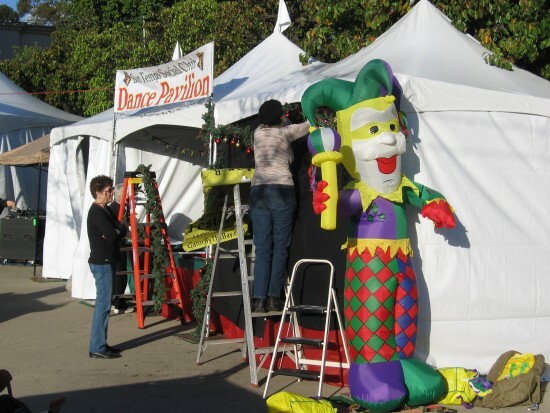 Getting ready for crowds in Balboa Park’s central plaza on Friday afternoon. 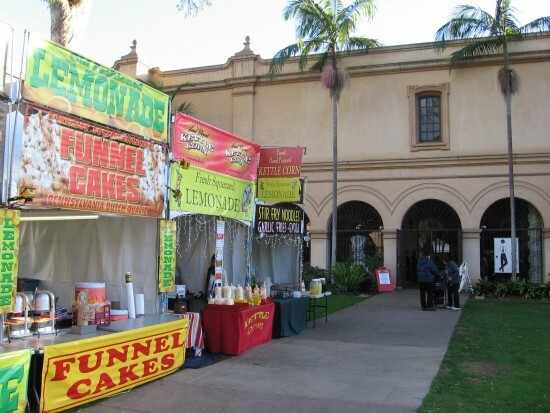 Funnel cakes, lemonade and kettle corn for the holidays! 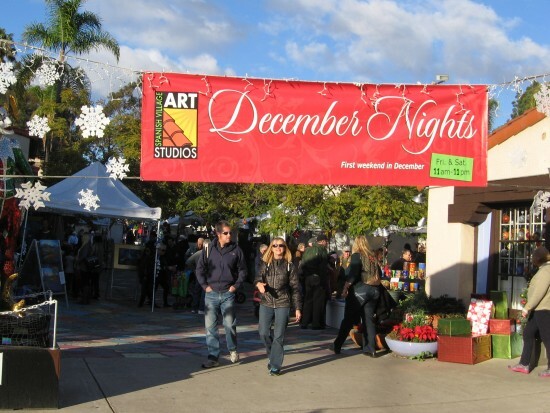 December Nights crowd grows in Spanish Village by late afternoon. 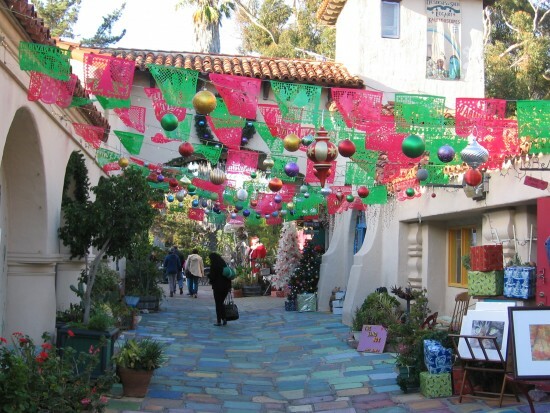 Santa awaits beyond colorful decorations in Spanish Village. 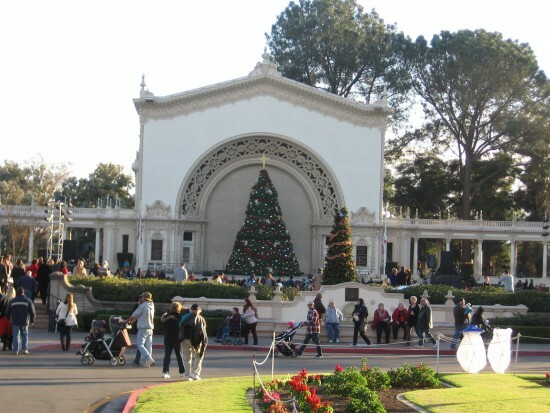 Enormous Christmas tree decorates the stage of the Spreckels Organ Pavilion. 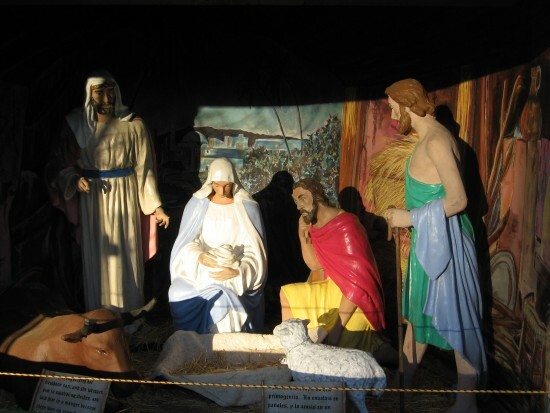 One nativity scene in the large creche at the Spreckels Organ Pavilion. 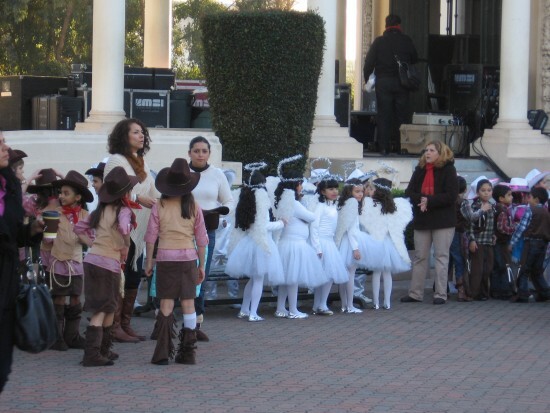 Tijuana school kids dressed as vaqueros and angels wait to perform. 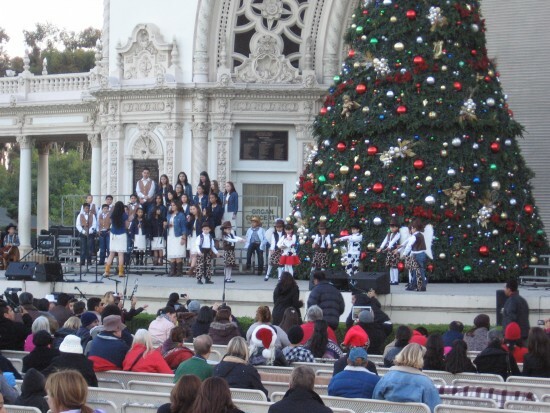 Children perform by big Christmas tree on Spreckels Organ Pavilion stage. 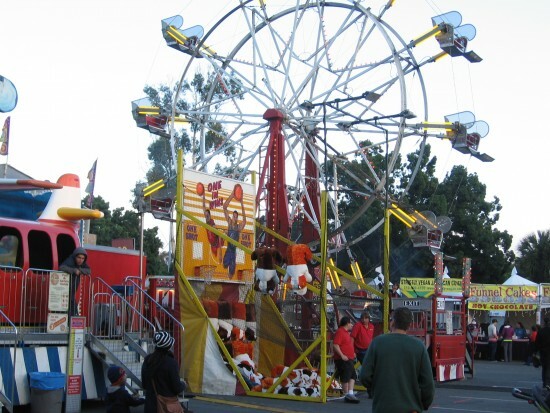 The December Nights fun zone rides will become more active after dark. 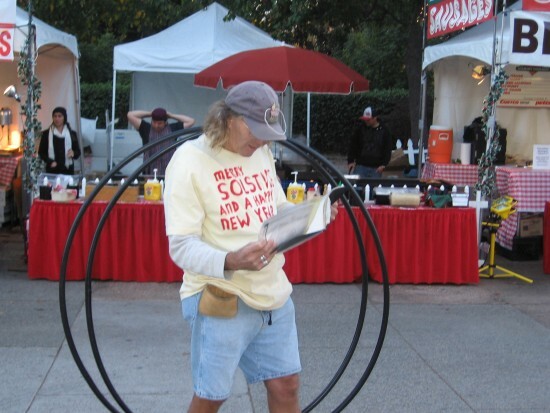 This guy’s shirt wishes everyone a Merry Solstice. 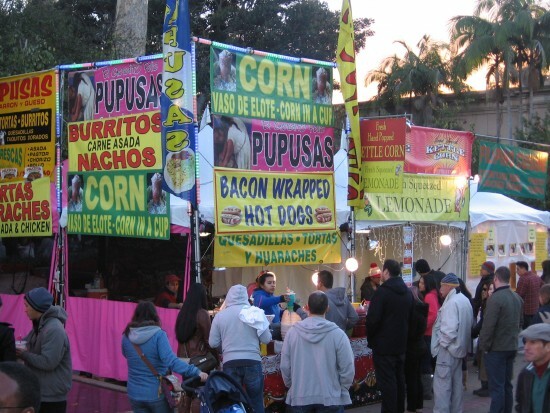 Food and yummy smells can be found all over Balboa Park. Sunset nears and the tower atop San Diego Junior Theatre building turns gold. 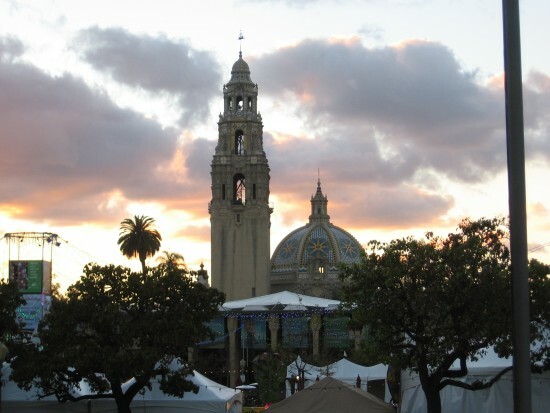 A December day fades above Balboa Park and the clouds are tinged with color. Now the evening crowd is really growing at December Nights! 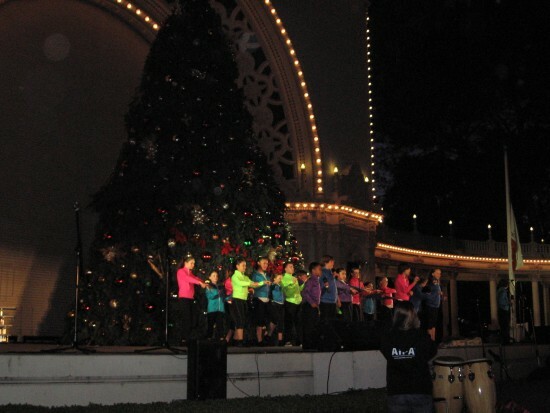 Glee Club of Australia kids sing and dance in Spreckels Organ Pavilion. One of several Santas in Balboa Park. 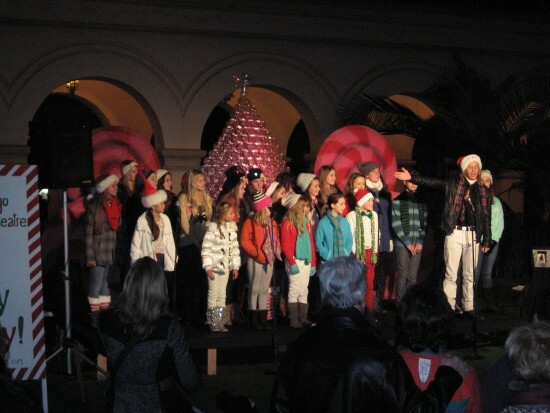 San Diego Junior Theatre kids sing Christmas carols. 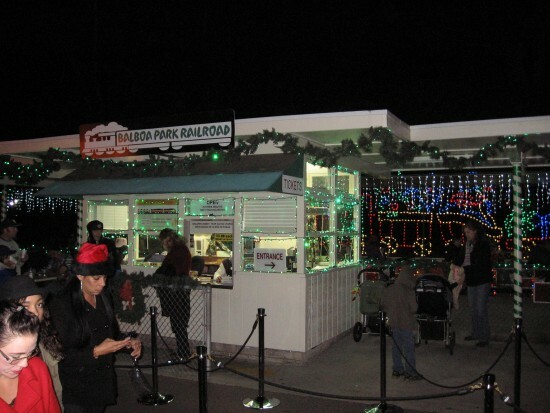 Balboa Park Miniature Train in front of San Diego Zoo lit with Christmas lights. Balboa Park fountain and Natural History Museum lit up for December Nights. 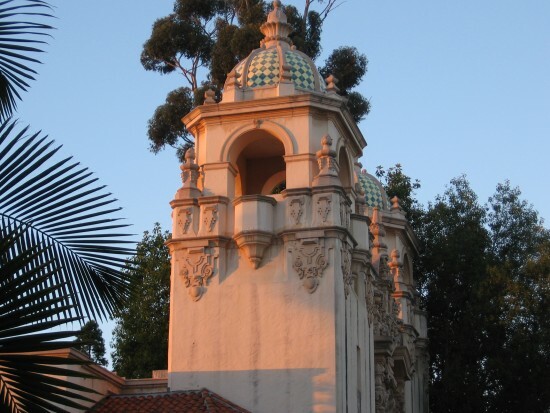 You took a picture of me at the Organ Pavilion! The Tony Gwynn Memorial at Petco Park was well done and your efforts to post pertinent comments is commended. Previous Previous post: Grounded warship signals Seasons Greetings. Next Next post: Cabrillo’s galleon San Salvador returns from past!